If not using canned chick peas then drain the soaked chick peas, place in a pot and add three times the amount of water. Add 1 teaspoon of salt and bring to a boil. Boil vigorously for about 10 minutes, turn the heat down, cover the saucepan and simmer until the chick peas are very soft- approx 1 hour. Drain liquid off and reserve. Mix the ground sesame with the yogurt, crushed garlic, the lemon and a pinch of salt together till thick and creamy. Blend the chick peas with the mixture in an electronic blender till thick and creamy. You can add whatever you like to your hummus (ie. red pepper, sun dried tomatoes or just add some cumin and olive oil). 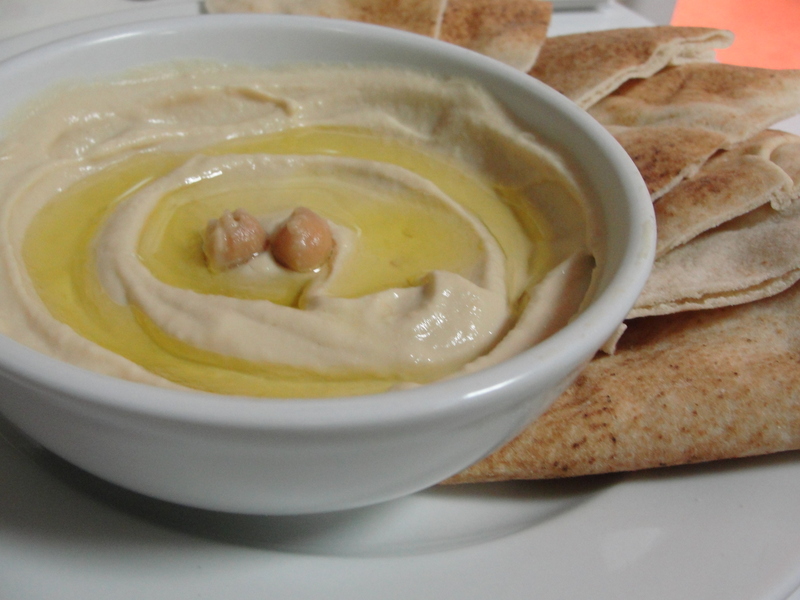 This entry was posted in Appetizers, Dip and tagged Appetizers, Arabic, Dip, Gluten Free. Bookmark the permalink. What does the yogurt do? I make my hummus the same way you do, but no yogurt. 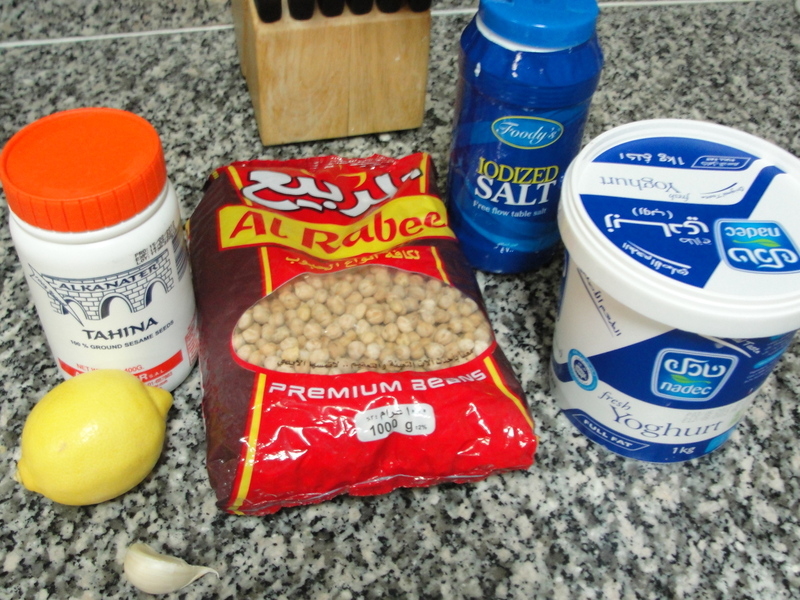 When preparing the tahini dip, we mix 3 tbsp of Tahini paste, 2 tbsp of plain yogurt, lemon, salt and garlic. The yogurt is to make the tahini dip creamier and smooth. I like the addition of yogurt. Will have to try.